It had been a tough start to the week in the vineyard of truth. I was having technology problems, clients were being demanding and well, it was Tuesday. And it was March. 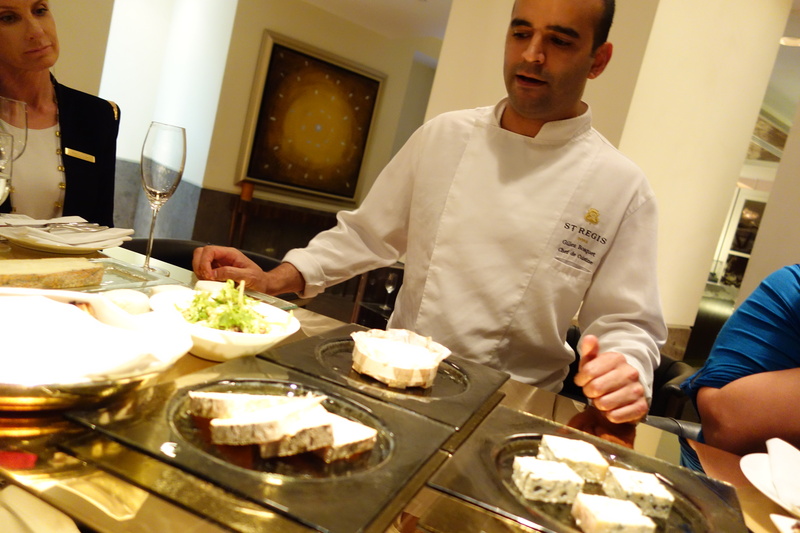 When I heard about the new Grapes and Cheese night at Gordon Ramsay’s Opal at St Regis Doha, I am not one to pass up the opportunity to sample up to different types of wine and matching cheeses. After all, it was Tuesday. And it was March. 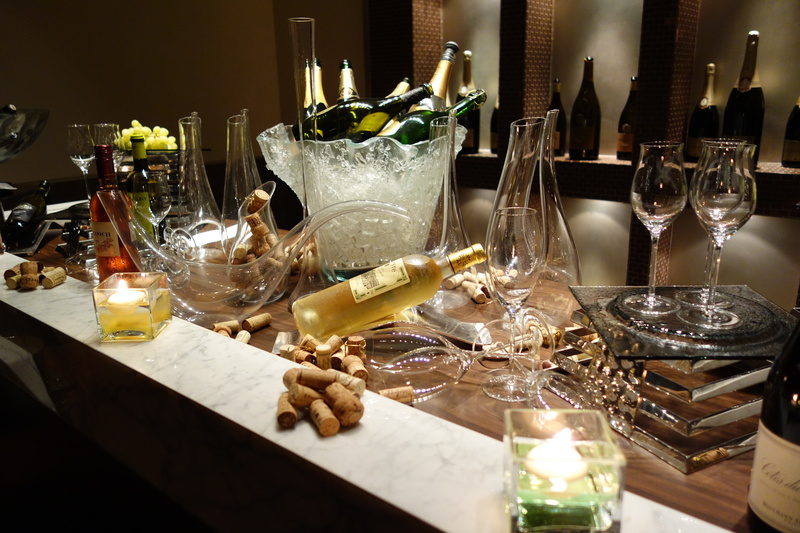 The wines took center stage with a selection prepared by Sommelier Ashwin Tillousing who took us through wines from France, South Africa, Spain, Chile and New Zealand. 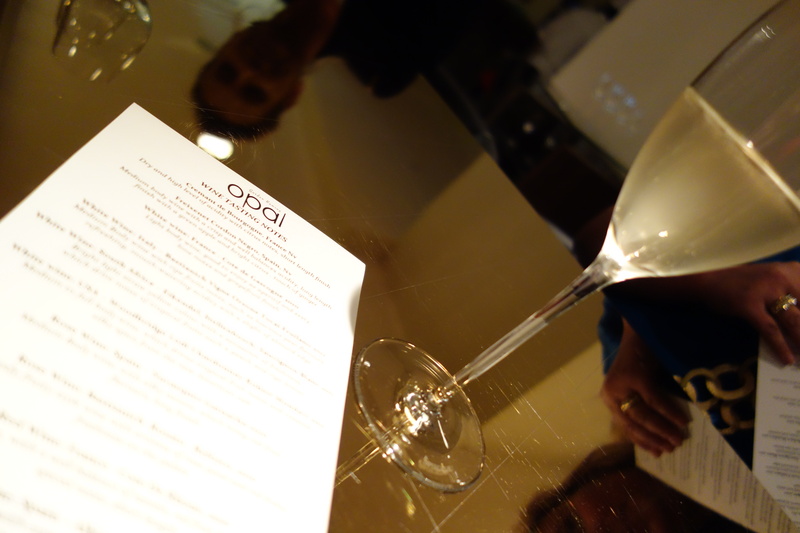 Bearing in mind it was a school night, we managed to make a mark on the list of 13 wines. But for me, it was the cheese I was there for, and I was not disappointed. 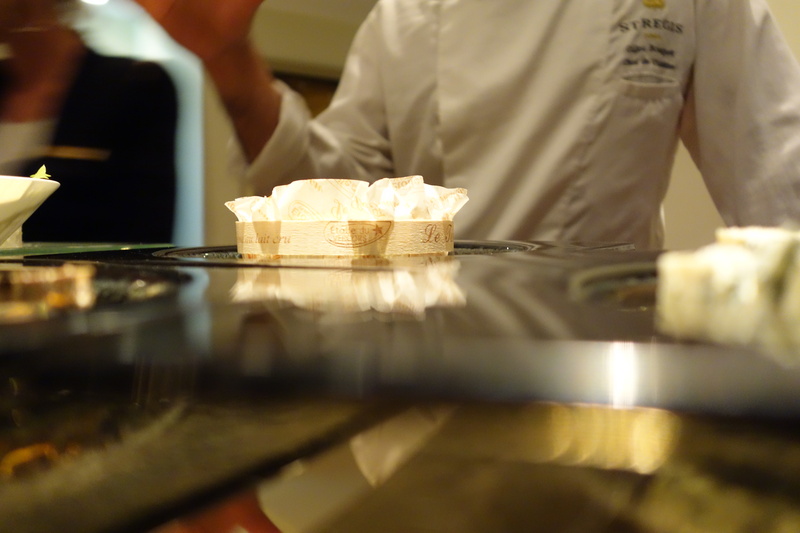 Chef Gilles presented us with a selection including a Talleggio and a creamily delicious goat’s cheese. But there were three stars of the show. 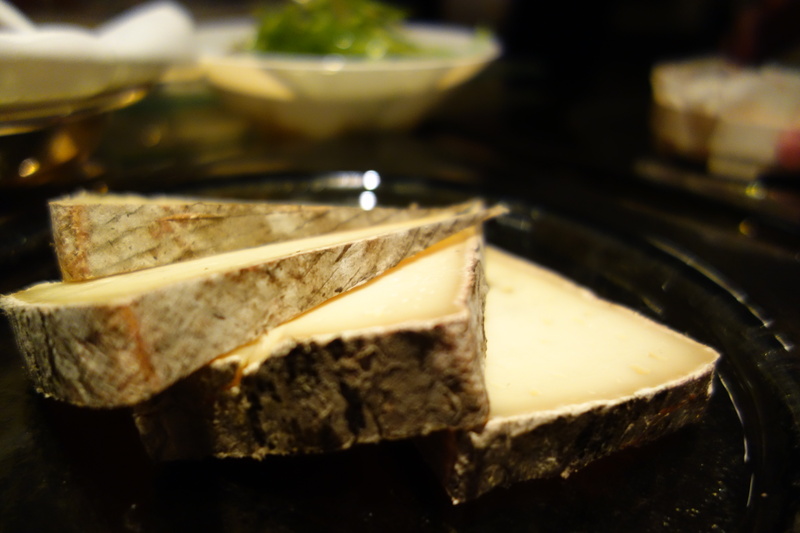 The first was a delicious Tomme Du Savoir – a French cheese made from the skim milk left over when the whole milk cream is removed and used to make butter or richer cheeses. So that means it’s lower in calories and fat that most other cheeses of it’s type. Which makes it practically slimming right? Right? 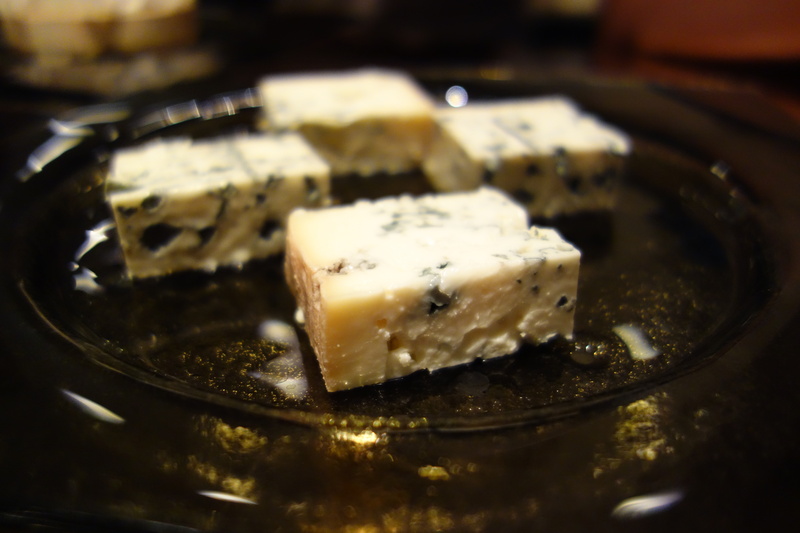 Second up was a French blue cheese – Bleu De Gex. A little firmer than what we are used to, but bursting with flavor. Apparently it’s aged for three weeks. It lasted three minutes with us.. Finally, the star of the show. My first time trying the Saint-Felicien…a truly exceptional cheese. I mean, how can you not love a cheese that you eat with a freaking spoon right? The name originates from the small town where the cheese was first produced and sold. The cheese was originally made from goat’s milk, but since then it has become more common to produce the cheese with cow’s milk. 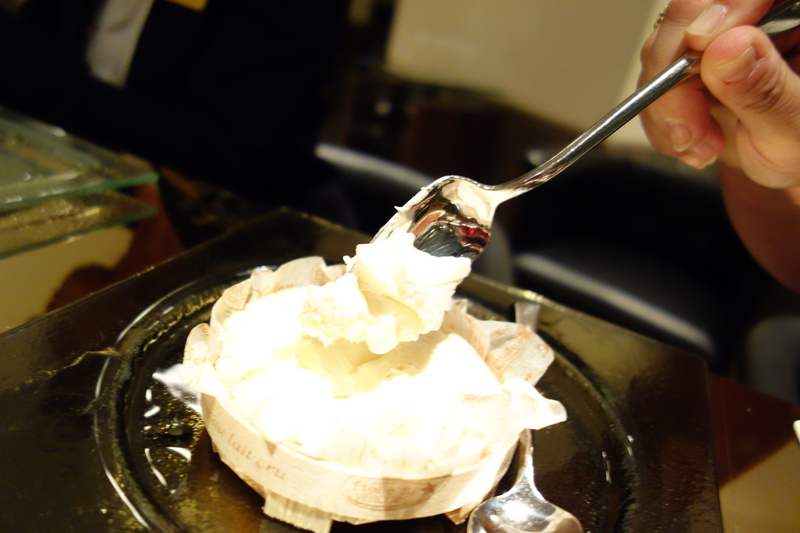 Its creamy interior is encased in a flower-style (fleurie) casing. Cheese lovers will note the similarity o the Saint Marcellin, its “cousin”. Having been left out for a while, it was creamy and well, just right. For those living in Doha, the st Regis weekly cheese and wine night is QR300 plus QR75 for a plate of selected cheeses. If, like me, you need inspiration to get through the week…it’s the perfect antidote.